From time to time, we may collect general, non-personal, statistical information about the use of the Sites, such as how many visitors visit a specific page on the Site, how long they stay on that page, and which hyperlinks, if any, they "click" on. We collect this information in order to determine which areas of the Sites are most popular and to enhance the Sites for visitors. We may also group this information into aggregate visitor data in order to describe the use of the Sites to our existing or potential business partners, sponsors, advertisers or other third parties, or in response to a government request. However, please be assured that this aggregate data will in no way personally identify you or any other visitors to the Sites. For your convenience and information, the Sites offer several services and features that require you to provide us with personal information, such as your name, mailing address, phone number and e-mail address. For example, we request personal information if you choose to apply online for a BDC ClubCard, if you register on the Sites for classes, workshops and programs offered by Broadway Dance Center, or if you purchase merchandise from our online store or subscribe to our e-mail list. If you register for a class or other program on behalf of your child, you will also be asked to provide certain information about your child, such as your child's name and age. In addition, if you register for classes or other programs or purchase merchandise through our online store, we will request your credit card information in order to bill you for those programs or purchases. We will use personal information that you submit to us for the purposes for which it was submitted. For example, if you apply online for a BDC ClubCard, we will use the information provided in your application to set up your ClubCard account, sign you in for classes and for other internal purposes as further described on the BDC ClubCard Web site. As another example, if you submit registration information for a class, we will use your information to register you for that class and process your payment for that class. Furthermore, we may use your personal information to send you periodic communications by e-mail and regular mail to keep you up to date on current events at Broadway Dance Center and new programs, products or other opportunities that we may offer. You may opt out of receiving promotional or advertising e-mail communications from us by: (1) clicking the appropriate box on the registration form, (2) clicking on the unsubscribe link contained in such e-mail communications, or (3) sending an e-mail with “unsubscribe” in the heading line to us at [email protected]. Broadway Dance Center offers dance classes, workshops and programs to adults and children of all ages. However, we do not knowingly collect or maintain personal information from children under the age of 13 on the Sites, except for the limited circumstances described below. In the event a child under the age of 13 submits a question to us on the Sites and identifies his or her age, we may use the child's e-mail address for the sole purpose of responding to the child's question on a one-time-only basis. However, we will not use the child's e-mail address to recontact the child and we will delete it from our records once we have responded. We encourage all visitors to the Sites who are under the age of 18 and wish to communicate with us to use the assistance of their parents. Children under the age of 13 will not be permitted to register online for a BDC ClubCard. Any teenager who is at least 13 years old but under the age of 18 that would like to register for a BDC ClubCard will be required to provide the name and e-mail address of their parent or guardian. We will then send an e-mail notifying the parent or guardian of the teenager's registration. We may sometimes use other businesses to perform certain services for us, such as processing credit card payments, delivering our merchandise, sending postal mail and providing marketing assistance and data analysis. We may provide personal information to those businesses when that information is necessary for them to complete a requested transaction or otherwise perform their duties. Those businesses will not be permitted to use your information for any purposes other than to perform their services for Broadway Dance Center. We do reserve the right to disclose visitor information in special cases when we have reason to believe that disclosing this information is necessary to identify, contact or bring legal action against someone who may be causing injury to or interfering with (either intentionally or unintentionally) our rights or property, other visitors, or anyone else that could be harmed by those activities. This includes our right to exchange information with other organizations in order to protect against fraud and to reduce credit risk. We also reserve the right to disclose visitor information when we believe in good faith that the law requires it. Customer information is generally one of the business assets involved in the sale of a business. 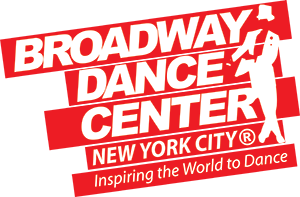 In the event that Broadway Dance Center or all of its assets were acquired, customer information would be one of the transferred assets.